It’s easy to get ahead in life if you have a good paying job and everything always goes your way but for most people that is not the reality they have to live with. Most people take prosperity as a given and put little effort into controlling where they are headed. Most just assume that if they get a job then they can have everything they want and life will somehow just work out fine. For some people that seems to work but these people are not in the majority, at least not anymore. The times are changing and most will have to reduce their dreams to something more realistic in the coming years. Having a smaller paycheck does not mean you have to suffer from lack of necessities, it just means you have to be more thoughtful where every dollar goes in order to get the most from it. With fewer dollars to draw on it may be necessary for you to redefine what you consider a good quality of life and work towards those ends. The following are some of the things you need to consider that will help you make the best use of limited funds and insure a good life. Deciding where you want to end up in life will make your journey far easier. Even a simple plan will help keep you on track and moving in the right direction. Having a written plan will reinforce your desires and help motivate you to stick with it. Modify your plan as time goes on but always keep it realistic. Part of life is the accumulation of stuff. Some things will be necessary while others are just trinkets to be looked at. Get ahead and fulfill your long range plan sooner by buying used items that you need. This will make your limited funds go much further and allow you to shop around for good deals. Make a spreadsheet and list all of the expenses you experience during the year. Across the top of the page have 12 columns, one for each month of the year, and one column for a total. List the recurring expenses for the entire year and estimate the rest. Things like rent or insurance will be fairly regular while things like power or gas for your car will be variable. List everything you might possibly spend money on during the year so you can see where your money goes. This will help you to identify areas where you can reduce expenses. It will also show you what you can expect to have left every month after paying for your needs so you can plan for future purchases or implement a savings plan. This is helpful especially when you have large bills some months and must set aside funds during prior months to help make all of your payments. Those with the least needs and wants have the most money. If you can reduce the amount of food you buy or the amount of fuel you use, that money will be available for future needs. Having the ability to produce some things for yourself can make a big difference in your financial bottom line. Instead of giving that money to others you will essentially be paying yourself for those things you can provide. The fastest way to get in financial trouble is to try to have everything that your neighbors have. It may be fine for them but you have no way to know if they can really afford it or are setting themselves up for bankruptcy in the future. You do not want to follow them to the poor house just for the sake of envy. They may have financial assets that you don’t and can afford it while you cannot. Don’t fall into this trap. Live within your means. Having a good quality of life does not have to be expensive. A walk in the woods or a picnic beside a lake can be relaxing and rewarding if done with someone special. Playing board games or going bike riding can occupy kids for hours at little expense. Developing a hobby such as gardening or wood working can provide relaxation and a feeling of accomplishment when your task is done so don’t overlook productive endeavors. The further you remove yourself from our technologically advanced world the more real enjoyment and savings you can realize. The expensive stuff is nice but don’t let it rule your life. It is so easy today to see something you want and just buy it without thinking. When you have to pull cash out of your pocket to pay for something the act of spending your money is much more personal. When you see the money you are handing over it makes you realize you now have that much less where using plastic is very impersonal and your finances are reduced to nothing more than a figure on a balance sheet that means little. Using cash makes you think before you buy. Reduce your wants to a realistic goal so you are not wasting money you will need in the future. Reuse things you may normally throw away to save and make you more aware of the money you are wasting every day. Try to use items you can repair when they break instead of buying a new one. Learning a skill such as sewing, appliance or auto repair can help you a great deal in the long run. This does not have to be a lot of money. If your finances are tight, start with 5 or 10 dollars a week. Once you are in the habit of saving it will be easier to increase the amount over time. One way to help you save is to make it inconvenient to use the saved money for impulse purchases. Storing your savings in rolls of coins or gold and silver coins will make it more difficult to carry and use and provide you with the time to reflect on the purchase and determine if you really want to buy it. Learning a skill that can yield some type of production asset is a good way to help you get ahead in life. Having tools and knowledge to do auto repairs, a sawmill to mill lumber or gaining the expertise to lay bricks and stone are just some of the things a person can do to occupy their time, earn extra money or trade for needed services. When you have a skill that will fill your need and can also provide for others needs, it is a winning combination. The best way to eliminate health costs is to exercise and eat healthy. Little things can compound to cause lifelong problems so prevention is the best medicine. The simple acts of eating more fresh vegetables and doing a few push ups or going for a walk every day can have a major impact on your health. You may not be where you want to in life but this is where you are so deal with it. Having a positive attitude and laughing at yourself once in a while will put you in a receptive frame of mind and allow you to see opportunities that may have been missed. Good mental health has a great bearing on physical health as well. Getting ahead in life when your financial means are limited is a challenge but not impossible. It requires you to put more thought into your actions in order to get the things you need and want. With a well thought out plan and the proper attitude even someone with limited means can have a good quality of life and an enjoyable future. That seems like a simple enough question, yet many people have yet to answer it to any satisfaction. Most people live their lives in day to day desperation with no more thought than to make it to the end of the month with enough money to spare. What is your destination in life? Where are you going and how do you plan to get there? If you cannot answer these questions you will be forever lost on the highway of life and may never reach your destination. That is why so many people seem to go around in circles and never seem to get anywhere. They have no idea where they are going and no plan except to move forward and see where it takes them. Many enlightened people see the destruction that is happening to this country and know where it will eventually lead. They have made their plans to get through it the best that they can. Even with limited funds they have a destination in mind for the short term and know where they want to end up. This is a good beginning but not a complete plan. You really need to sit down and decide where you want to end up in life. This entails deciding what kind of home you want to have and the living conditions you are willing to accept. Everyone wants a mansion with a swimming pool and a fancy car but is that a realistic destination with your current income? Being realistic in the current economic environment is what will make or break you in the end. You may need to downgrade your hopes for the future to something more realistic and doable. To decide on your future destination you need to determine the minimal standards you will accept and work toward that end. Once you achieve that, you may decide to upgrade based on your resources. You want to have a quiet peaceful retirement in the country that you can afford. You are willing to do certain things for yourself to decrease your expenses in the future. You develop a plan and list all of the items you will need to complete this ideal retirement package on the least amount of money. 3)	You decide a certain number of solar panels will provide you with sufficient power for future needs. 4)	You determine you will need certain canning equipment and supplies to last for a certain number of years. 5)	You decide you will need a small garden tractor with implements to plant sufficient food. 6)	You decide you want a certain number of fruit trees in your yard. 7)	You determine you will need propane or wood for some of your energy needs and determine how much it will cost and how much you will store. 8)	You determine you will need transportation and an old sedan and a truck will be easier and cheaper to maintain and operate for the limited uses you will have. 9)	You decide if you will have any livestock and what equipment you will need for them to include how you will feed them. 10)	You determine your clothing needs and how you will satisfy them. Will you buy later, buy now and store or make what you need later? 11)	How much will you need in savings to live on every month and how many years will it last? 12)	Will you have some way to earn extra money to supplement what you have saved? 13)	What will you do for medical needs and how much will that cost? These are some of the things you will need to answer and determine what the bare minimum will be for your planned destination in this example. Once you know what the destination is you will be better able to plan a route to get you there to insure you know when you arrive. Once the minimum is taken care of you can expand on this and add items to provide more enjoyment and comfort. Without a detailed plan you may miss the only exit and have a very bad experience that you will have to live with. Your current resources and desires will dictate what your destination will be but in any case you need a detailed plan to get there. The lack of long term panning is the cause of hardship for many people today when a simple plan would have solved many of their problems. The conveniences available today make life much easier and enjoyable but they come at a price. If you are unable to meet that price you will have to either suffer hardship or develop a plan you can afford. The way many people lived in the early 20th century is not glamorous but they had the basics to get by day to day. This is a basic level of living that should be a starting point for any economically challenged persons that want to relax later in life rather than go from one emotional problem to another. One item you must evaluate now is your ability to maintain your current living conditions. If you are living at the edge or beyond your means then this is your starting point in planning your ultimate destination. You cannot get where you need to go if you have no excess resources now so it is imperative to reduce where you can to create the excess you need to fulfill your list of needs detailed in your plan. If you are unable to cut anywhere now and things get worse in the future you will be forced to reduce your living standard even more so a realistic look at how you would live under worse circumstances may help you reevaluate your current circumstances. Reality will soon visit the people of this nation and most are not prepared to accept or deal with that new paradigm. A small piece of land, a small comfortable cottage or trailer, a garden, a wood cook stove and an old but functional sewing machine are some of the items that will enable you to care for your family and endure a severe downturn while providing the basic necessities they will need. A small number of key physical goods will help you get to your destination and enjoy it once there. It is your job to identify those physical goods now and acquire them while you can in a manner you can afford. Your future years will depend on how well you mapped out your route and what destination you have chosen. Lack of planning will ultimately get you to a destination but it may not be the one you want or can live with comfortably. Your future is in large part up to you and you only have one shot at it so don’t miss. The Dominoes are beginning to fall. The result of deindustrialization in America is beginning to have it’s intended effect. More and more cities are losing needed revenue and drowning in a sea of debt. The result is and will continue to be bankruptcies and defaults that will see creditors taking possession of large tracts of real estate in the U.S. When municipal bonds loose their luster and everyone begins to realize the bonds will default, why would anyone want to invest in these instruments anymore? If you happen to be someone with large amounts of dollars and you want to get something in return for them or at least reduce your losses in the event of high inflation or default of the dollar, a loan to a bankrupt municipal might be just what you want. The FED is still buying mortgage backed securities in the billions of dollars every month. In the event of default they will effectively own all of the real estate backing those mortgages. Let’s think even bigger. If you loan billions to a bankrupt city knowing fully well they will never pay it back and will eventually default again, it might be a good way to pick up an entire city at very little cost. But who would want to own an entire bankrupt city? Someone with lots of cash they need to protect. Here is one possibility. The Chinese have been spending their dollars as fast as possible on anything with physical value. They have invested in energy properties, mines, real estate, movie theatres, manufacturing businesses, food production facilities and banks in the U.S. over the past few years. They want physical assets rather than our devaluing dollars. They have been buying properties in various locations where they might be able to set up new residential and manufacturing facilities in the future, run and owned by them. With the massive and increasing numbers of Chinese living in China, it is becoming harder for them to provide basic essentials for the entire population. They need more living space and natural resources. Why spend a lot of money bringing resources to China when it is much easier and cheaper to send Chinese workers to the resources. If they could buy several large cities in the U.S. in areas near vital natural resources like water and food, they could reduce their population density by tens of millions and procure much needed resources for themselves. Look at the types of resources they have already bought here. Just the types of things you need to supply a large population. This is just one possibility but it just goes to demonstrate why we should be careful at this juncture in this crisis. There are other entities in the world with the financing and agenda to want large tracts of U.S. land. As was once said by a founding father, Americans may wake up one morning to find themselves foreigners in the land once conquered by their fathers. The bankruptcy of American cities provides an opportunity for an outside force to enter and take control of America one piece at a time. Once in control of large areas this entity can force the relocation of large populations out of the area or possibly into it depending on the economic factors in play. The thing to watch over the coming months is who provides funding to these bankrupt cities and what the price will be for future defaults. The bankruptcy of large numbers of cities is also a good cover for Agenda 21 proponents to control the areas they want to utilize in the future. In any event, Americans should keep an eye on what goes on behind the curtain as this all unfolds. Comments Off on Who Will Bail Out Detroit? In the distant past people did not have the luxury of going to the grocery store during the winter and buying from a wide variety of fresh produce. The advent of refrigeration and a global delivery system made possible the year round purchase of fresh produce that we now enjoy. This just in time delivery system is one of the Achilles heels of modern living and most people have no backup should this supply disappear. Fresh produce is more nutritious than canned goods and fresh greens top the list. If our supply system ever becomes unreliable or too expensive many people may have to go without fresh foods for extended durations. Many people raise vegetables during the warmer parts of the year but stop at that. They leave their gardens unused until the following year, wasting a potentially valuable resource. A winter garden can provide you with many good foods during the colder times of the year and help reduce your food bill and reliance on outside sources for this necessary commodity. One of the advantages of a winter garden is the fact that you do not have to harvest and process the food until you need it. Canning food is an important way to insure a supply of food for your family but in desperate times canning supplies may be difficult to acquire or replace. In this situation you may need a fresh supply of food most of the year and a winter garden helps fill that need. A winter garden extends the harvest for a few more months when food may be difficult to get. While things such as potatoes or apples may be harvested in the fall and be kept for several months many foods do not keep fresh for that long. A winter garden can supply you with fresh green vegetables throughout the winter and the cold hearty plants will keep fresh in the cold temperatures. It is a way to expand your food supply with the least amount of effort and resources. Some vegetables work better than others depending on your winter temperatures. Once you determine what will grow best in your latitude you can plan a winter garden to suit your needs. If you have some livestock this is also a good way to increase winter food for them as well. July is a good time to acquire your seeds if you have not done so already. In many places it will be necessary to start your plants by the end of July to insure good growth before the first frost is upon you. As you harvest your garden in the late summer you should be preparing your beds for your winter garden. As space becomes available you can begin planting your winter vegetables. Some crops such as long keeper tomatoes and butternut squash will have to be harvested before the first frost but offer you a good storage vegetable for winter use. Long keeper tomatoes are harvested before frost and kept in a cool dark place while they slowly ripen over the next few months to provide a fresh tomato for home use during the colder months. A good addition to your winter garden if space is available is winter wheat. Even a small plot about 20’ x 60’ will yield about a bushel of wheat in the spring and provide you with over 50 lbs of flour for bread making during the year. By utilizing your garden space the whole year you can greatly increase the amount of food you produce for your family and reduce the chances of a crop failure leaving you without sufficient food for the winter. If you want to get your feet wet with a winter garden why not plant a few cabbage plants, some Brussel sprouts and a row of turnips this fall to learn what works best for you. Starting small and working up from there will eventually reward you with fresh foods throughout the year at a great savings and provide you with a food supply that you have control over regardless of the economic conditions or supply situation. It is likely you have heard of Agenda 21. It is the UN plan to restore the planet to a more livable and sustainable place. The problem with their plan is that it was written by elites, for elites and does nothing for the average human except insure more misery. Agenda 21 is population control wrapped in the cloak of sustainable development. The elites have gotten rich by exploiting the planets resources and now they want to clean up the mess they created by moving everyone into mega cities that are more controllable for the elite and keep the newly unspoiled rural areas for their own private backyard. It is difficult to force anyone in a rural area to do anything they don’t want to do. With the number of weapons in this country it would be messy at best to force people to move into cities at gun point. The best alternative is to “nudge” them as Cass Sunstein would say. If someone were going to nudge people into moving into cities what might they do? When hit by a number of these items it would be difficult to stay in a rural area for any length of time if you are dependent on an outside source of income. The loss of income and inability to support your family would eventually force you to move to a more economically friendly environment. This is the very reason many youths have fled the country and taken jobs in large cities over the years. While jobs may be limited in the city, it is even more so in the country. The destruction of the nations’ manufacturing, seafood industry and the bankruptcy of the nations farmers to the benefit of multinational agribusiness have played their roles in the loss of rural jobs and flight to cities. The end result will be people living in tiny 500 sq. ft. apartments and micro apartments under 200 sq. ft. with limited water and electricity allotments and expensive GMO foods that they have no option but to buy if they want to eat. Once in these cities people will be forced to take any job available to survive and the captured nature of the populace will enable multinational corporations to force lower wages and substandard working conditions on the people. That is the future under Agenda 21. Those that become self sufficient and fight the good fight may not win in the end but even so it is a battle that needs to be fought and won if possible. The future of humanity will reflect what we do today and future generations will either hail us or curse us depending on how well we do our job. Will The U.S. Constitution Be Replaced With Sharia Law? As one follows the trail of destruction taking place in the U.S. a clearer picture is beginning to develop. The speculation that the U.S. is slowly being destroyed by internal forces has some merit. It has been insinuated that the global elite wish to destroy the U.S. and its constitution. They wish to take it below third world status and insure it will never rise again to offer any resistance to their rule. 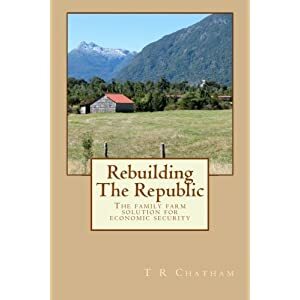 Even with a total takedown of the American system it would be difficult to prevent any serious attempt by the people to rebuild the nation unless something else was put in its place to insure that would not happen. Any type of western government would provide the possibility to move toward the past ideals of America so something else must be used. The destruction of American ideals which are based on Christian beliefs and the ideals of life, liberty and the pursuit of happiness must be eliminated completely with no possibility of reemerging. The war on Christianity in America has many confused and taken in a different light may make more sense. The slowly changing demographics in the U.S. offer the opportunity to change the type of government and religion practiced openly in this country. As Christianity is being pushed aside the Islamic faith is being given a special protected status to ensure it overwhelms everything else with time. The increasing population of Muslims coming into this country and the rising incidents of Muslims acting in accordance with Sharia Law in direct defiance to U.S. law is but one warning sign that should be heeded. In a 2011 report, the Center for Security Policy found 50 “significant” published appellate court cases where Sharia Law entered the courts decision making. The transition to a Muslim nation is under way in America and very few realize it yet. With a new Muslim government in place the prospect of an American Republic ever rising again would be small and insure the global elite would not have to worry about this type of distraction. Once the nation succumbs to the planned destruction of its primary systems it will be ripe for transformation. The destruction of the currency system, manufacturing base, freedoms defined in the Bill of Rights, Christian beliefs such as the institution of marriage, self sufficiency and property rights, will ensure the self determination of the population will be sufficiently broken to accept whatever system is imposed on them. This is where we are headed. There are many rumors floating around about actions being taken by the government and equipment being purchased. When put into the context of America becoming a Muslim nation it would seem a reasonable assumption that the new government would round up and eventually eliminate all Christians in a manner that might require the use of guillotines as an execution method. In that light, the rumors take on a new urgency. For those that follow bible prophecy the aforementioned may seem like a reasonable explanation of the things we are now witnessing. There are some future events to watch for that would reinforce this idea. Some of these things are already visible but will increase. The loss of freedom to speak out against Islam in the U.S. While this scenario could very well end the nation as we know it forever, it is my personal belief that the American way of life will prevail, but not before a long and bloody fight has enveloped this nation and years of strife have renewed this nations’ resolve. Only when the nation has regained its’ moral compass and rule of law will it be capable of rebuilding itself. Only when it has regained its’ spirituality will this be possible. Comments Off on Will The U.S. Constitution Be Replaced With Sharia Law?